Eating healthy is hard to do when you are constantly on the go. One of the easiest ways to stay healthy is to cook at home, but whether you are a working girl or a busy stay at home mom it's hard to find time to cook nutritious meals. That's why meal planning can be such a life saver. Here are a few ways to minimize your meal stress and stay healthy all week long. 1. Pick a day to plan. Find time in your schedule that you can plan out meals consistently each week. I like to plan my meals on Sunday mornings because it's typically a quiet day, and it also gives me time to get to the grocery store before the weekday rush. I grab my favorite recipe book or my computer and jot down a few recipes. 2. Put it on the calendar. I use my calendar to figure out which days I need a quick fix for dinner and also which days I may be going out with friends. Then I have a 7 day menu that I put on the fridge. It keeps me accountable for actually eating the meals that I've planned. 3. Shop. Write down all the ingredients that you need for the week. Check the pantry for what you already have and purchase the things you know you will need. Tip: Pick fresh ingredients. It's another way that I stay accountable for eating healthy. I know that the food is going to go bad if I don't eat it that week. 4. Prep. Keep in mind the things that may need a little extra preparation. For example, I'm always forgetting to boil the eggs for a chopped salad. Those kinds of things can be done on the weekend or the night before your planned meal. Some people even like to cook all their meals on Sunday for the week. It's a little too ambitious for me, but it does leave weekdays open for other activities. 5. Make Leftovers. I always cook double what I need. For example, if I'm cooking for two I make 4 servings. That way I already have a healthy lunch prepared for the next day. Tell me your tips for eating healthy in the comments down below. 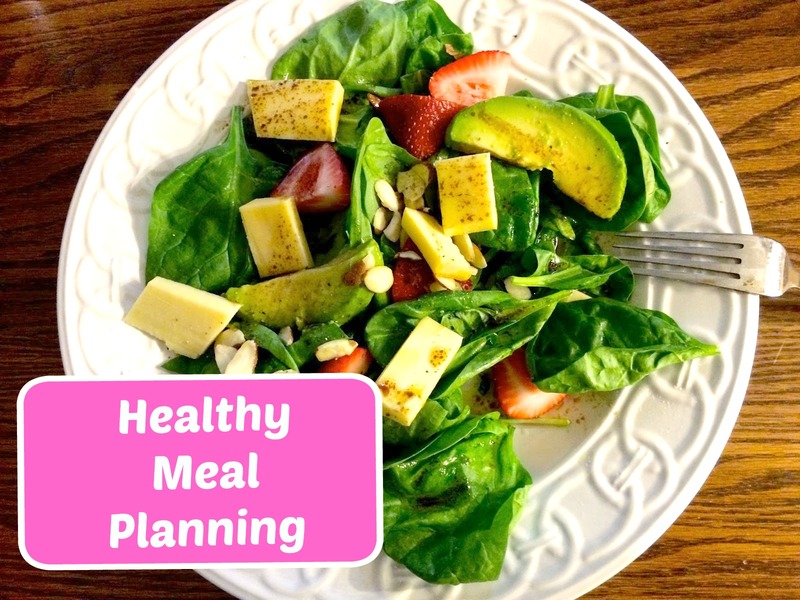 Happy meal planning!